The loaf pan size is quite big, so i only filled up the batter half of the loaf pan. After baked for 10mins, remove the loaf pan, make a slit at the centre, so you will have a nice and even crack at the centre. 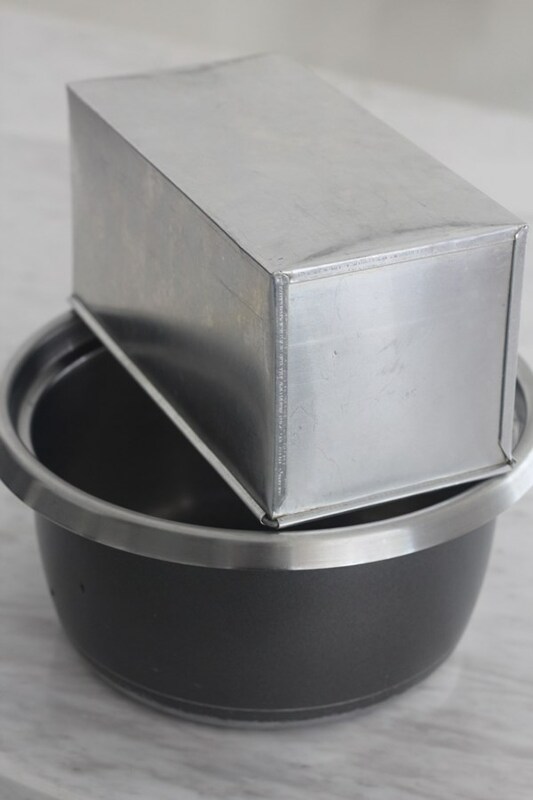 Find a suitable deep bowl to hold the loaf pan, this case i use a rice cooker. I don't want to invert on a wire rack, because i don't want wire rack pattern imprint on the cake. 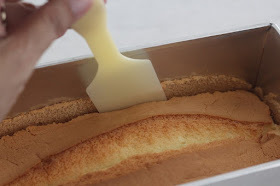 With less than 5 mins, quickly remove the chiffon cake from the pan, as to minimize the shrinkage and avoid hot steam trapped at the bottom of the pan. 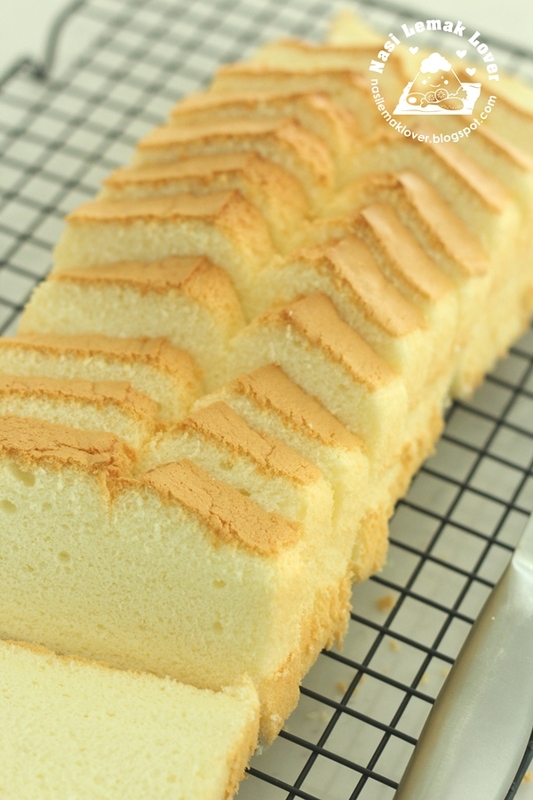 Actually, it also look like a pound cake pattern, with this shape, it is easy to slice it ..This time i bake a plain chiffon loaf cake, next time will try with other flavours like pandan and etc. 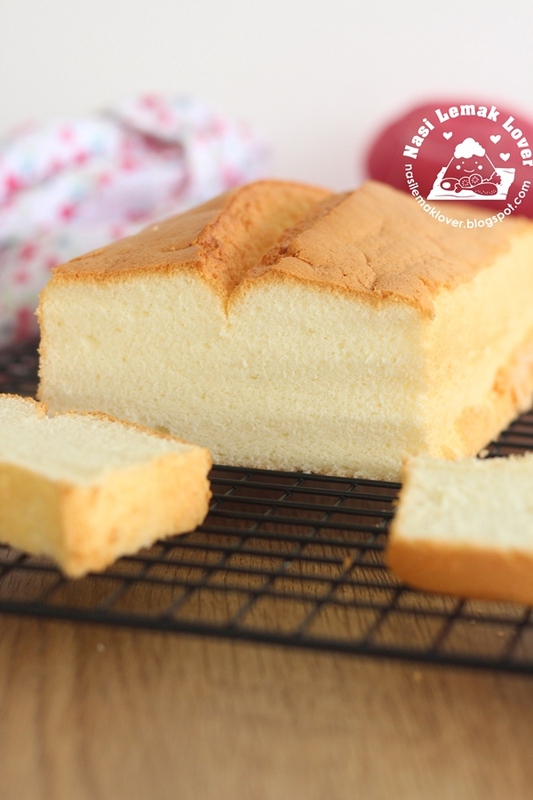 This chiffon cake is light and soft, no burden to eat more. 2. Add in corn oil and vanilla extract, stir to combine. Then add in milk, stir to combine well. 3. Add in cake flour, stir to mix well, set aside. 4. Add cream of tartar into egg white, beat till foamy. 5. 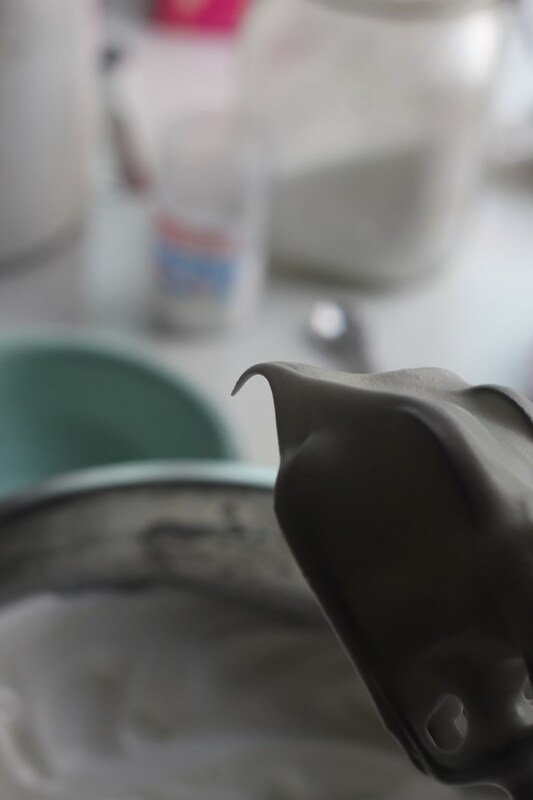 Gradually add in sugar, beat till close stiff peaks (a small curve at the tip) or firm peaks (too firm, difficult to fold). 6. Take 1/3 portion of meringue and use hand balloon whisk to mix with egg yolk mixture till light. 7. Fold 1/3 of meringue into egg yolk mixture, use a silicone spatula, fold well. 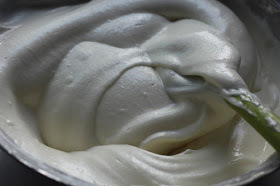 Then fold in the balance of meringue, fold to combine. 8. Pour batter into the prepared loaf pan (use only normal white aluminium loaf pan, only line paper at the bottom). Pour cake batter into loaf pan from 2’ height and use a chopstick, gently swirl the cake batter as to eliminate air bubbles trapped in the batter. Also smooth the top of the batter. 9. Bake at pre-heated oven at 170c for 40-45mins ( my oven at lowest rack). After baked for 10mins, remove loaf pan and use a sharp knife and quickly make a slit at the centre. 9. 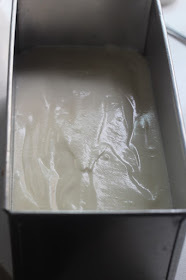 Once cake is done, remove from oven and immediately invert the loaf pan ( I use a rice cooker bowl to hold the pan). 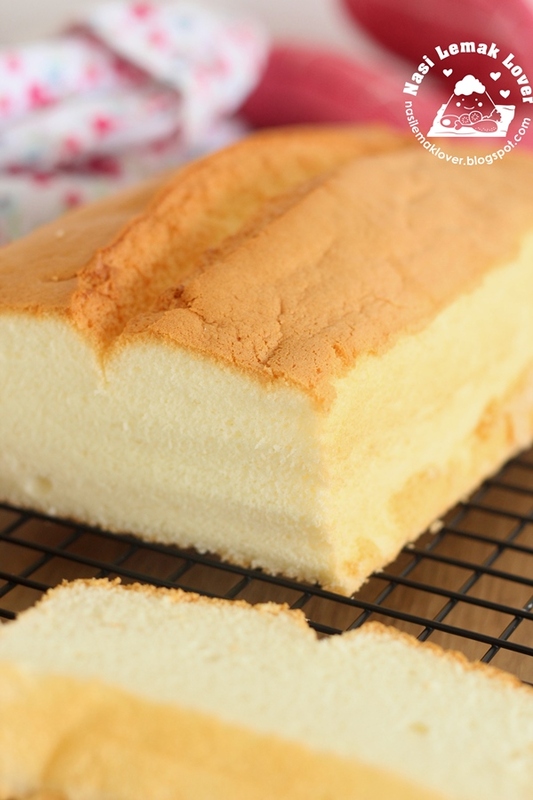 Let it cool about 3-5mins (don’t wait too long as to prevent hot steam trapped at the bottom and shrinkage) , invert back the loaf pan, use a thin and sharp spatula , run the sides of the loaf pan, then remove the chiffon cake, remove the baking paper and continue place on wire rack to cool down completely. Hi ~ my friend, long time no see and I am back. Your cake look good and nice, can I have a piece? 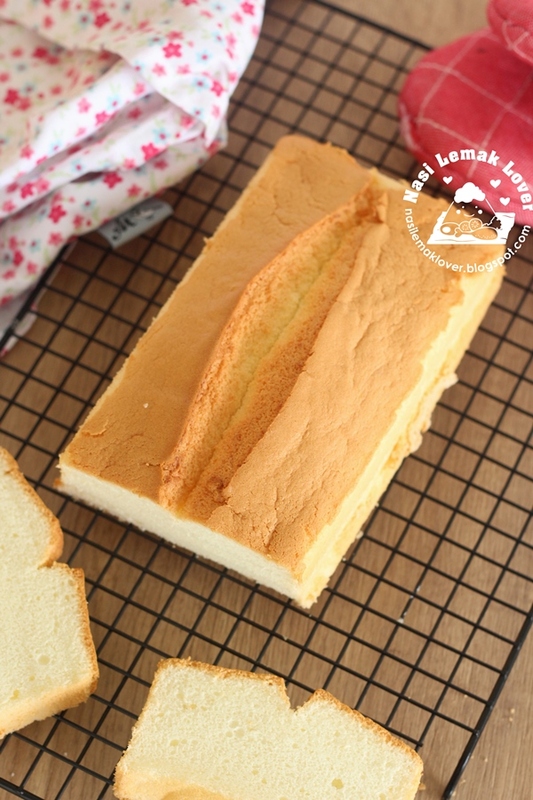 interesting to see your blog in baking, may I know are you using the build in oven to bake this nice chiffon cake ? 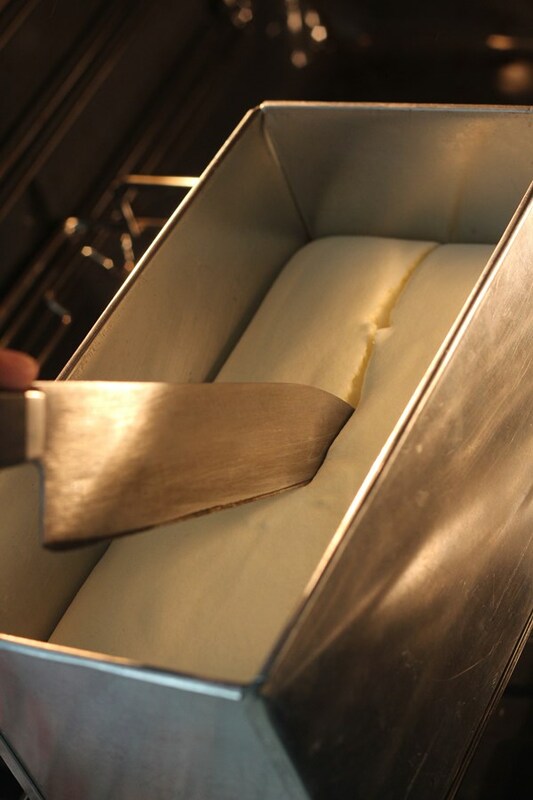 see your baking on the lower rack of the oven, are you use the up & bottom heat to bake this type of cake ? or using fan forced with bottom heat only ? Jojo, yes I am using a built in oven , I use top and bottom heat and no fan forced . It is advise not up use fan mode when baking chiffon cake or sponge cake . Your chiffon loaf is very well done and it reminds me of the cake bread loaf (half bread and half cake) that sold in some bread outlets in S'pore. I might use your recipe to bake the cake bread loaf one of these days. hi Sonia, good day ! thanks for spending your time in replied me. I will be tried out your method to bake my chiffon again using top & bottom heat as well ! by the way, if for others baking i.e. butter cake is it using the same top & bottom heat also ? thank Q for your sharing & advise, HAPPY BAKING !!! Thnx Sonia ! My orange chiffon just hot fm oven, but I m not satisfied with the texture came out heavy & wet ���� dun know wats wrong to my baking, will try again....anyway thanks for your sharing & help ����Gd nite ! Hi Sonia I do love to see a loaf chiffon cake! Something new and interesting. Thanks for sharing. What a brilliant idea. I will try that this weekend. I baked your orange chiffon cake and it came out perfect and received a lot if compliment from my church friends . I gave them your website. Thanks Sonia for the delicious recipes . Wow...love chiffon cake so much! may I use grapeseed oil or melted butter instead of corn oil? how deep do u insert the knife? or just silghty into the batter? Hi when beat egg whites would it be preferable to get soft peaks or firm peaks just before stiff peaks? Roughly about how many minutes ? Hi Sonia, what other size of baking pan can I bake this in? Thanks! can u freeze this cake for later consumption? Bee Gan, you can chill them but not sure freeze will affect the texture or not , you can try out.